Up to 25,000 women a year in Birmingham are thought to suffer domestic abuse, according to new figures. A council committee was told it was only through &apos;sheer luck&apos; there had not been more murders like Natasha Trevis who was brutally killed by her partner. But Coun Jess Phillips (Lab Longbridge) who is both Birmingham Victims Champion and a manager with Women&apos;s Aid, called for the battle against domestic violence to be given more resources. She said: "It is like a cancer in our society. It is just by sheer luck there aren&apos;t other Natashas. It is nothing more than that. 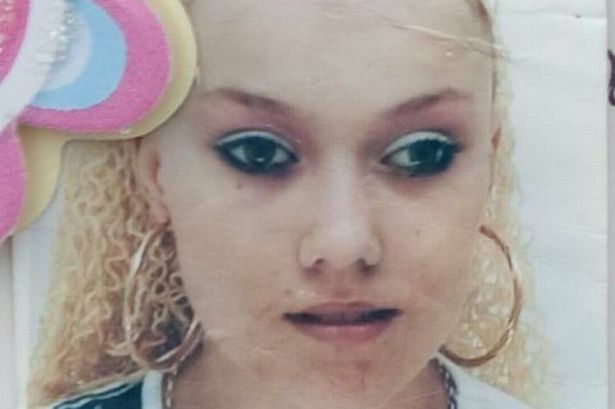 "The circumstances which led to her death and very much the culture she found when she went for help is the culture that exists all over the country, not just in Birmingham." Coun Phillips said that domestic violence is a far more prevalent crime than terrorism but gets only a fraction of the funding or attention. "It is the single biggest cause of homelessness and accounts for a higher percentage of police call-outs than almost any other crime but it won&apos;t be one of the leading issues in our election campaign next year." She also called for relationship education to be made compulsory in schools as projects teaching children about healthy relationships are &apos;more effective than any ad campaign&apos;. "We can go into the schools which will accept us, but they might not be the ones which need us. What I worry about with the programmes is that we go to the same schools over and over again. It is patchy, a postcode lottery," she said. The councillor was giving evidence to the social cohesion scrutiny committee inquiry into domestic violence and forced marriages. Also appearing was the city&apos;s senior manager for domestic violence services Paula Harding who explained there had been improvements in child protection services and social care since Ms Trevis was stabbed in a taxi in Northfield in August 2012. "You will have heard about the seriousness of the circumstances and those times we failed Natasha and her family. But there has been an enormous change in the way we treat domestic violence. A massive cultural change." She explained how specialist staff from the police and Women&apos;s Aid now work closely with social workers, in the same offices. The committee also looked at forced marriages and honour-based violence – with figures showing that the Governments Forced Marriage Unit is dealing with about 5,000 reported cases a year, in one case involving a child as young as two. The West Midlands is behind only London in the number of reported cases to the unit. There is also a high level of under-reporting. According to West Midlands Police figures, there were 64 incidents of honour-based violence and 39 cases of forced marriage in 2011-12. The report revealed that while the majority of cases arise from South Asian communities, India, Pakistan and Balgladeshi background, there were also cases arising from the Far East, Middle East, Africa and Eastern European communities. Scrutiny Committee chairman Coun Mariam Khan (Lab Washwood Heath) said that councillors in their community leadership role should do more to challenge attitudes to forced marriage and domestic violence. "It&apos;s about us using our roles, we should probably be doing a lot more in our own wards and communities," she said.